May 20, 1998. Fifteen years ago today my world rebooted. It shut down catastrophically when a bus lurched off the roadway and crashed into a 1,000-foot-deep ravine in rural Bolivia. I was a 25-year old missionary on that bus. My young wife was with me. Out of the blackness, the world began to spin again. And I was alone. I designed this accident site marker for Krista. It was crafted with love and care by local MCC workers. March 2008. As workers tamped the earth over his wife’s casket, a light rain began to fall on Geoff and me. The seven-year battle with a brain tumor had reduced Colleen’s body to a ruined version of the beauty I remembered from her wedding 12 years earlier. As the heavy thud of sod and shovel diffused in the laden air, it occurred to me that, counting that day, Geoff and I had seen each other just four times since graduation: two weddings, two funerals. We’d exchanged the privilege of standing beside one another as we each committed our lives to honor and love two amazing and beautiful women. I’d married Krista Hunt-Ausland just weeks after her graduation in 1995, and Geoff had married Colleen the year after that. Two years later he was by my side to mourn Krista’s death. Krista and I had gone to Bolivia as service volunteers with the Mennonite Central Committee. We lived and worked in a remote village of farmer families. Although our one-room house of mud and straw had no water or electricity, it was our first home together, and we loved it. Fifteen years ago today we rode our motorcycle out of the village to a town 30 minutes away and boarded a night bus to Santa Cruz. The bus navigated winding bends of a mountain road until that awful lurch that sent us tumbling into the darkness below. And here I was now, standing next to Geoff alone in the rain, watching the actual task of burial – the practical, now unceremonious work of shoveling dirt in a hole. If only it were so easy to fill the craters in our hearts. I thought of his three-year old twin girls and the enormity of the breach in their lives – that yawning rift between what the world wished could be theirs and what would actually know. Geoff and I turned to walk away from the dismal scene, arms over each other’s shoulders. He asked, “What now?” There was a bleak loneliness in that question. What is simply “tomorrow” for everyone else is to the bereaved a world irrevocably altered by absence. How does one walk forward in a changed world when all he wants is what is irretrievable? I had no immediate answer for him. For me and Krista’s family and many of our friends, some part of our answer to “What now?” came in the creation and nurturing of The Krista Foundation for Global Citizenship. It has been our way to enrich a world left poorer by Krista’s death, encouraging in others the values and energy that define her. This weekend is our 13th annual conference. I’m really excited about going, even though I have four major conferences this month. The first was the Child and Youth Finance International Global Summit in Istanbul, Turkey. The second was the World Vision International Education and Life Skills Community of Practice Face to Face in San Jose, Costa Rica. This weekend outside of Spokane, WA will be my third, and next week I’ll be at a Global Youth Engagement gathering in Toronto, Canada. I suppose I could complain about this – death by PowerPoint, gabfests, and all that – but the truth is, I’m having a great time interacting with others who are positively engaging our world with an abundance of creativity, energy, and optimism. In each of these gatherings, people are asking hard questions, exploring possibilities, sharing struggles and failures alongside good practices and potentially replicable solutions. Yes, it can be exhausting, but it is quite frankly a refreshing change from the typical dialogue in our culture today. On my flight between San Jose and Atlanta a couple of days ago, I somehow got watching a Discovery Channel show about doomsday preppers. The basic storyline is that there is a subculture of people who are hoarding supplies for the apocalypse in whatever form that might take. Along with these supplies are preparations to protect them from other survivors that didn’t have the foresight to prepare. One man explained, “these people are gonna want what we have.” He explained this while teaching his wife and eight-year old son how to shoot and kill “zombies”. This is a term that many preppers use to refer to unprepared survivors in the post-apocalypse. 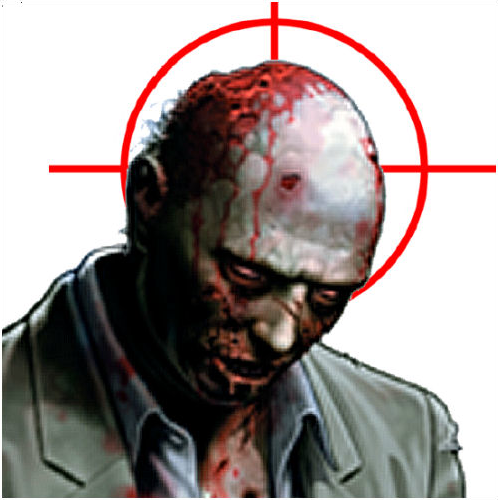 It was kind of funny watching the kid shoot holes in the heads of zombie targets while his father shouted, “zombie apocalypse now!” That is, until I remembered that the “zombies” are in their world actually other human beings who have also survived whatever horrible apocalypse they fear will come. The zombies are just people who are hungry and in need of shelter – people who “are gonna want what we have”. The thing is, there are already billions of people – survivors – who live here now and who are hungry and in need of shelter – people who want what we have. And instead of sharing from our abundance now, many are burying it in the ground, building subterranean bunkers – both literal and figurative – filled with years of supplies of food and water…and, of course, ammunition so that they can continue to ensure that those who have not have no chance of getting. The post-apocalyptic ethic that assumes a need for woman and children to gun down the unprepared is sort of at work already. And this reminds me that the opposite of generosity is not greed; greed is a proximate cause underneath which lies fear. Fear is the opposite of generosity. This stands in such contrast to the content of the conferences I’m attending this month, in which people are generously pouring out their resources to engage, empower, enable, and include youth as positive members of society. I’m surrounded by people who assume that youth shouldn’t be feared as tomorrow’s terrorist and gangbanger, but hoped in and invested in as tomorrow’s citizen and social entrepreneur. Here, when we talk about teaching life skills, we mean imparting knowledge, skills, and attitudes that lead to community resilience and social entrepreneurship, not fear and the preparation to kill those who will “want what we have”. If we seldom travel or rarely serve others, it is easier to keep our concept of community small and our circle of empathy drawn tightly around us. The post-9/11 cocooning of America forgets how the value of generosity shaped our country and informed our role in the world. While more and more Americans literally prepare to bunker down in a posture of fear and defensiveness, the Krista Foundation seeks to enlarge and nurture “habits of the heart” in young people so that hope, service, and community become dominant expressions in their lives. Our work helps them to integrate short service experiences into a lifelong ethic of service, civic engagement, and global understanding. We resist the notion that service with organizations like Peace Corps, Jesuit Volunteer Corps, or L’Arche is a holding pattern for idealistic young adults unsure of what they want to do next, or something one does in the naïve days before entering the “real” world. Is there, after all, any reality somehow more real than helping a rural Bolivian community establish its first library, facilitating dialogue between Muslims and Christians in Egypt, training indigenous nurses in Indonesia, or helping disabled adults live with dignity in Seattle? Together Krista Colleagues and the extended Foundation community pause to lift up the young adults accompanying people around the world in mutual service and learning. We pause to give thanks for the communities that nurture and challenge us. We pause to remember Krista Colleagues who are in transition and discerning next steps. We pause to pray for Krista Colleagues living out service leadership in their daily lives and careers. We pause to name the places in the world and all of creation that we carry in our hearts. Sharing your prayer petitions is an important part of caring for the whole of our extended global community. When Krista and I decided to commit three years to serving in rural Bolivia, we had a long-term goal in mind. We were both interested in how international economic and social development policy could be applied to increase justice for those who were marginalized and poor. We had been brought up with opportunities that are denied to so many others in the world, and we wanted to use that privilege to give voice to the concerns of the unheard and influence policy on behalf of their interests. But we could not pretend to speak on behalf of those we had not yet truly heard ourselves, so we sold our few possessions and left our families and friends 6,000 miles behind to create our first home in a land we’d never before seen. Although that decision ended tragically for us, I can’t judge it a wrong decision. It was based on principles that she and I believed in deeply, and that hasn’t changed. After Krista’s death I returned to Bolivia to honor the commitments we’d made together. During the five years I lived in Bolivia, I became mutually indebted with the people my development programs served, as they participated in my transformation as well. I met Gabriela Moreno Cuéllar, a young woman volunteering in an MCC program serving children who work on the streets of Santa Cruz. She and I were married in 2002. In 2003 we moved to Cambridge, Mass., where I began studies at the Harvard Kennedy School and received my master’s in public administration in international development (MPA/ID). We now have two children, Thiago Montana born in California in 2005 and Ava London, born in Bogotá, Colombia in 2010. It is amazing to me how differently and yet how closely my life has followed the original trajectory set out over a decade ago by Krista and me. Our purpose for going to Bolivia has proven enduringly relevant to my life. 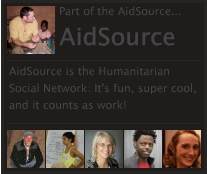 I have spent the past 15 years working in nearly 35 countries around the globe for half a dozen humanitarian aid and development organizations. As I write this, my suitcase lies open, half unpacked from my trip to Turkey and Costa Rica. Two more conferences this month, than preparation for another trip to Rwanda where I’m helping lead a project focused on youth viability and economic citizenship. Each time I kiss my family goodbye, we are forced to reassess the purpose of my leaving. We are all too aware of the dangers of working in places like Mali, Chad, southern Philippines, or Colombia. But it is the richness of my life, complete with its pain and loss, the sense of purpose and meaning, and the enduring belief in the principles of global citizenship, that permit me to choose again to engage the world despite what it has cost me in the past. And it is this enduring belief that compels Krista’s family and friends to proactively encourage other young adults to do the same. A widow in a local microfinance group I facilitated in Bolivia. We shared the pain of bereavement and the joy of living forward. I know this is a blog post quite out of the ordinary for me. Of course, given that I haven’t posted since July last year, I suppose posting anything at all is extraordinary. At any rate, I want to end by sharing with you a personal journal entry I wrote just over four months after Krista’s death. Thinking back on what the past 15 years has meant for me, I find these thoughts both compelling and comforting. Death so infuriates us because we were created as rational beings and death is so often surrounded in senseless circumstances. It’s not that death surprises us in general, we all know from a very young age that we are bound to die, that life is terminal and we are mortally stricken with it. But the actual event of death is nearly always a surprise and therefore we feel that something unique has taken place, a cosmic event aimed at us, like some force singled us out to suffer unjustly and without clear reason. In truth, however, the answer to the why question can only be sought after in such a way as to answer the larger question of death itself. If one tries to understand the reasons for one specific instance of death, he will drive himself mad and sink into despair for this question cannot be answered without radically altering toward error one’s view of God, life’s meaning, and so forth. In truth, it is very unlikely that there is a satisfactory answer to the why question in any single given death. We may, however, if we remain diligent and uncompromising, seek out an understanding to the question of why death itself must be and why we and our loved ones cannot hope to find exemption from it. And here, by understanding death in general terms, we might find peace with the individual case of death. Only when mortality is fully grasped, is it possible to live as we were intended to. To be fully human, to be responsible to life and to each other, to find true fulfillment and significance in living we must first dwell on the issue of our impending death. To realize that we have been dying since the day we were born is to begin a journey whose proper end is self-actualization, peace, and even holiness. I believe that God created us to exhibit the fruits of His Spirit: love, joy, peace, patience, kindness, goodness, faithfulness, gentleness, and self-control. These are the universal foundations of every human being. If we intend to live fully as a human according to the Creator’s intentions, we must discover how to be subjected to our true human nature. And the path to this subjugation runs through the door of moribund meditation. To ponder death is to discover life. Parts of this entry were adapted from an article I published in Arches magazine, Spring 2009. I really enjoy your posts (whenever they come), and I am very grateful for your candid story. You are an inspiration to me. Shawn, thank you so much. I am warmed by your words. God bless! Thank you for sharing a piece of yourself with us Aaron, and for sharing Krista’s generous legacy. I’m grateful for the reminder of why we are here on this planet. Sending light your way. What a beautiful post to wake up to. I am reminded, yet again, why I value your friendship (even if terribly distant! ), your presence on this earth, the enlightened insights you are gifted with, and the glorious potential that exists in each and every day. That you for your inspiring words. 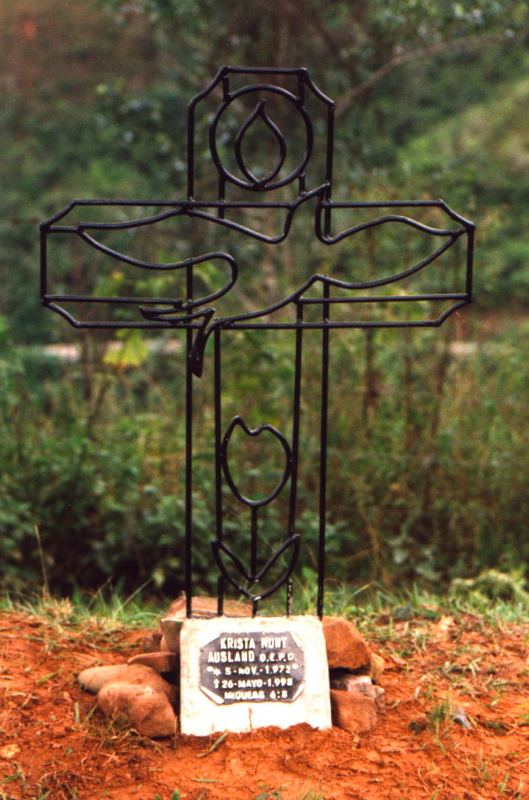 On a side note–it is really healing for me to be able to see Krista’s accident-site marker in Bolivia. I have prayed weekly for her for these past 15 years…for some reason, reading this post and seeing that image provide me a new sense of closure I didn’t realize I needed. Thank you Kimmelin. Coincidently, this morning I was thinking of Krista’s friends. As the husband, my broken heart was tended to by the community with priority and I was wondering how better to recognize and care for her friends who equally suffered a bereaved heart and have needed a community of support and healing even as they reached out to me with care. Thank you for remembering and praying for Krista. I’m truly sorry for your loss of a good friend. This is beautifully painful. Thank you, Aaron. You are able to put into words what so many feel. Such a gift. Thinking of you and your family… and always, of Krista. Her legacy is powerful.